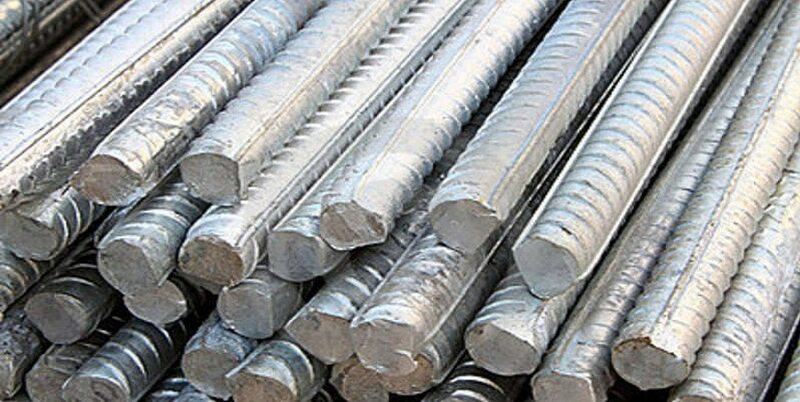 TMT reinforcement steel are used in reinforced concrete construction to provide better strength in tension, bending, shear as well as in compression. 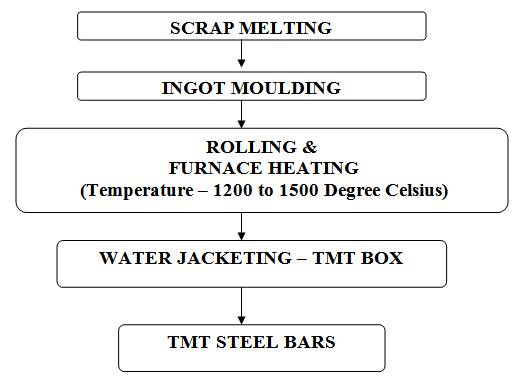 TMT steel means Thermo Mechanically Treated steel. For years, bamboo has been used by man for construction activities, later it has been replaced by CTD (Cold Twisted Deformed steel rods) or TOR steel rods. The manufacturers adopted the “Cold Twisting Process” in which the naturally cooled rods were twisted by means of motors. Thus the molecular structure of the core steel is weakened. Thus it should not be used for construction activities. Now, the TMT reinforcing steel rods have emerged. This rod is not twisted; instead it is treated with the Water Jacketing Process and allowed to cool in the ambient condition. The steel rebar are at high temperature when they leave the last rolling stand. They are immediately passed through a predetermined quantity of a high-pressure water-cooling system. These instant cooling tempers the outer surface and it becomes very hard. The next phase involves cooling at an ambient temperature that allows the hot core to temper the surface through thermal exchange. 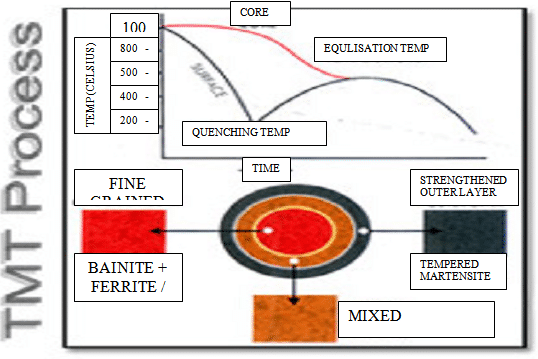 This result in a unique tempered structure of Martensite (outer) and a fine-grained Bainite-Ferrite / Pearlite (core) that is stronger, more flexible and far better suited for construction.